I just learned about these skies recently and have purchased a pair and plan in putting them to the test. 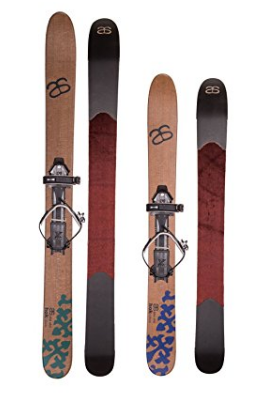 After doing extensive research I thought I would call various ski shops in Mammoth, Tahoe, Snowmass, and Aspen to see what other information from a practical perspective I could get before my proceeding with buying these unusual skis. Much to my surprise none of the ski shops knew anything about these skis. In fact, nobody had ever heard of them. Well, this intrigued me even more because the Altai Skis have been out for about 8 years. So what are they? They are the “Whenever and Wherever” ski. The first ski, the Hok, is a ski to be used whenever and wherever there is snow. With a partial climbing skin integrated into the base, the ski climbs with ease, no sidestepping needed like traditional skis just go straight up. 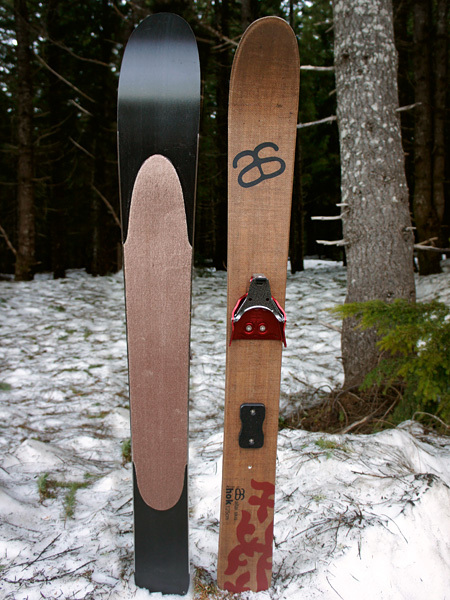 The skin also makes the ski slower and easier to control than traditional skis. They have a universal binding and can be worn with any shoe/boot. The Universal Pivot Binding functions much like the standard Universal Binding. The main difference is the flexplate has a hinge built in (hence the pivot name) just behind the ball of the foot. Performance is slightly better for touring then the standard, but the main reason for adding the Pivot into the mix is its ability to adjust out longer for larger boots. The Altai can fit up to a size 15 boot with it – depending on your boot design of course. Forward mount position makes skis maneuverable, easy to use, and excellent for breaking trail in new snow. Based on this information and all the Youtube videos I watched and extensive research I decided to buy a pair and try them out this Winter. The idea of going where I want and exploring, the Winter Wonderland of snow at my pace was more than I could resist. Check back with me next month as I post my first impressions of these skis that act like snowshoes and skis and give me the freedom I want to go anywhere and enjoy skiing. Can’t leave without giving NomadnessRentals a plug. At the end of the day, I am looking forward to sitting back and putting my feet up and enjoying a warm fire and comfortable lodging and reminiscing my day of adventure and fun on my Altai Skis.